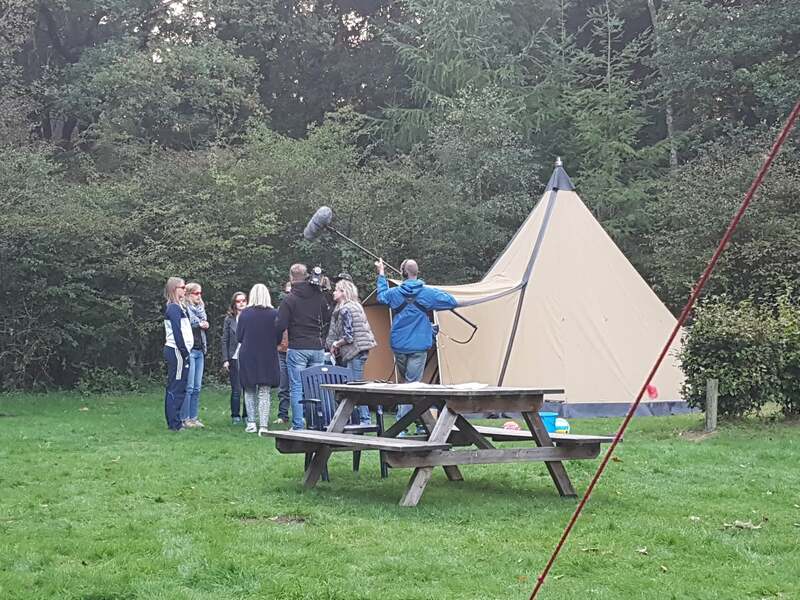 In the Dutch Television program ‘Dokters van Morgen‘ on October 17th, Antoinette Herzenberg pays attention to the importance of a healthy sleep. As part of the program, five volunteers went camping during one weekend. Chrono@Work supported the program with scientific input and the analysis of light exposure, rest-activity rhythms and melatonin patterns. Following up on two publications from American colleagues and John Axelsson from Stockholm, the question was whether a camping weekend will reset your biological clock. Although most of the volunteers were relatively early chronotypes, the melatonin rhythms of four of them advanced within two days with 8, 28, 31 and 54 minutes. From the fifth person the melatonin onset could not be determined due to previous melatonin administration. Although the group is not big enough to draw sound statistically significant conclusions, the fast advance that is observed in such a small group under real life conditions supports the hypothesis that more light during the day and less during the evening might enable you to advance your clock very quickly and help you to sleep earlier. In addition to the results of the paper in Sleep where the conclusion is that more light during the day is followed by a better night of sleep, these data clearly supports the idea that more light during the day is important for healthy sleep.